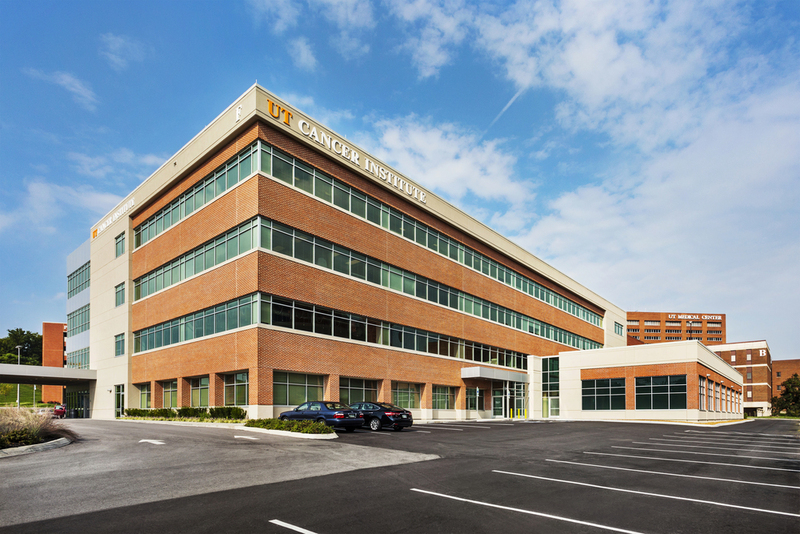 Located on the campus of the University of Tennessee Medical Center, the UT Cancer Institute is a 100,000 SF medical office building designed to meet the unique needs of the cancer program and oncology related physician practices. The Cancer Institute includes oncology physician office space, outpatient diagnostics, infusion therapy, pharmacy, medical education space and is connected to four linear accelerator vaults. The building also includes a 20,000 SF orthopedic practice. The project was completed in September 2012. Meadows & Ohly developed the project and provides management and leasing services. We had a clear vision for expanding our Cancer Institute to meet the growing needs of our region. Our challenge was bringing all of the components together in a state of the art facility. Meadows & Ohly was the ideal partner and aligned the interests of the hospital and oncology practices to deliver an excellent branded facility and experience for our community and our patients. Meadows & Ohly's team was great to work with as they diligently focused on each detail throughout the entire process. Our new expanded Cancer Institute exceeded all of our expectations. - JOHN L. BELL, M.D., F.A.C.S.